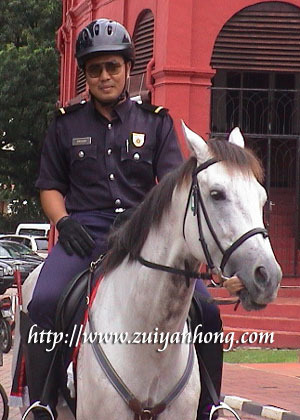 While Malaysia Royal Police is having serious yellow phobia, Malacca Police has provided excellent service to the civilians of Historical City. When I was on my way to attend DAP dinner on Sunday night, I was blocked by police before reaching YPL Restaurant in Malim Jaya Malacca. Most of the dinner guests were complaining the police created the traffic jam purposely. I disagreed with the accusation because that's the well-intention of the police to ensure the dinner could be held smoothly. In addition to the road block at many locations in Malim Jaya, there were quite a number of police stationed at the YPL Restaurant to take precaution in case any troublemaker try to cause disturbance. With the protection of the police, the dinner guests were relieved to enjoy the "delicacies". The speakers of the dinner also appreciated the excellent service of the police. Thanks for your comment. I would try my best to write more quality articles.